Quiz Settings include the option to choose one quiz question at a time for all types of quizzes and surveys. Click the Show one question at a time checkbox . 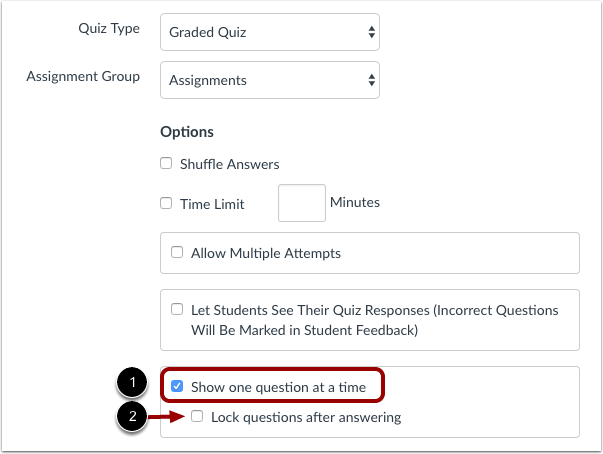 If you want to keep your students from returning to a previous question during the quiz, click the Lock questions after answering checkbox . 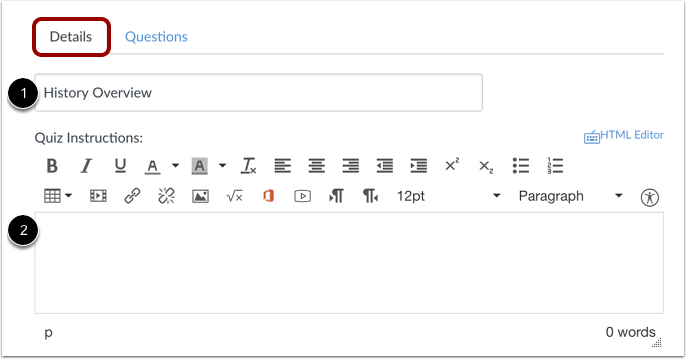 In the Questions tab, you can create a new question , create a new question group , or find questions  by selecting them from a question bank. To preview the quiz, click the Preview button . 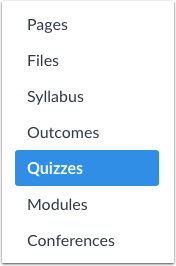 When you are ready for students to see the quiz in the course, click the Publish button . Note: We recommend you do not publish your quiz until it is final. If you change the quiz after a student has already opened it, the student will not see any of the changes in his or her version of the quiz. Previous Topic:How do I import a question bank from one Canvas course to another? Next Topic:How do I make a quiz available before or after the due date? Table of Contents > Quizzes > How can I create a quiz where students only see one question at a time?